Precleanse was love at first use. I LOVE an oil based cleanser which can remove any and all makeup - and this is exactly that. Plus the name, precleanse - encouraging what I am going to do, cleanse some more. HELL YES. I love a cleanser. This one will have you clearer than clear, face smooth and ready for round two. "Deep-cleansing oil melts impurities and make-up from skin.Achieve ultra clean and healthy-looking skin with the Double Cleanse regimen that begins with PreCleanse. 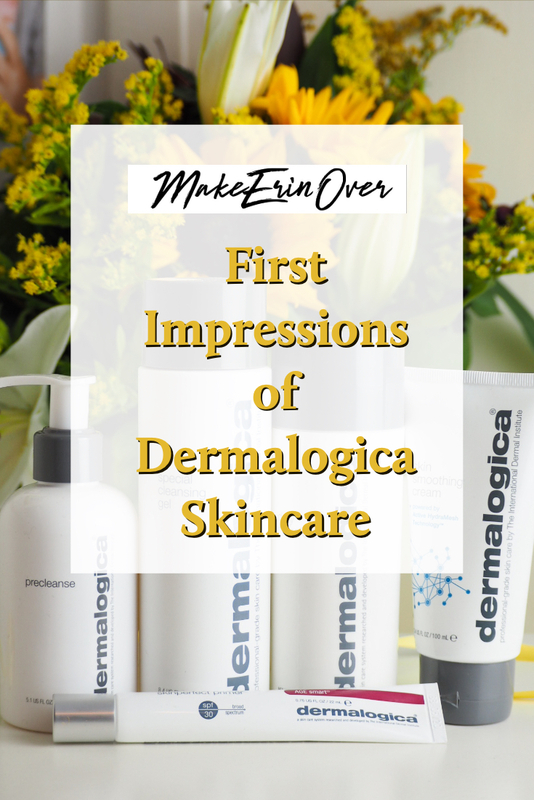 Thoroughly melt away layers of excess sebum (oil), sunscreen, waterproof makeup, environmental pollutants and residual products that build up on skin throughout the day with skin fortifying Borage Seed, Kukui and Apricot oils. 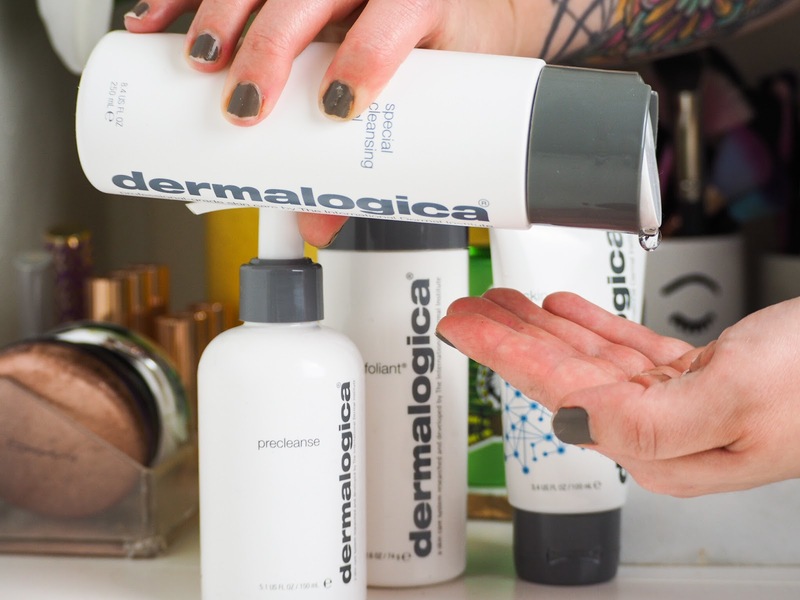 Add water to transform this hydrophilic (water-loving) formula into a milky emulsion that easily rinses debris from the skin’s surface, allowing your prescribed Dermalogica Cleanser to penetrate even further for professional cleansing results. Formulated with conditioning Rice Bran and Vitamin E oils, this gentle blend offers a deep cleansing ideal even for oily skin conditions." From Precleanse to the Special Cleansing Gel. From badass to gentle. This cleanse will remove any leftover traces and impurities from your skin, and restore it to the usual balance you would expect. I find when using an oil cleanser (especially with my oily skin) I do need to opt for a second cleanse to remove the excess oil. This works beautifully, it even foams up - which I love. I also use this in the morning to freshen up for the day ahead. "Soap-free, foaming gel cleanses all skin conditions. Refreshing lather thoroughly removes impurities, without disturbing the skin’s natural moisture balance. This iconic cleanser, which contains naturally-foaming Quillaja Saponaria, gently rinses away toxins and debris to leave skin feeling smooth and clean. Lightweight and mild enough to use every day, it also features calming Balm Mint and Lavender extracts to soothe the skin." The Daily Microfoliant was something completely different to me. It's a powder, which turns into paste in contact with water. 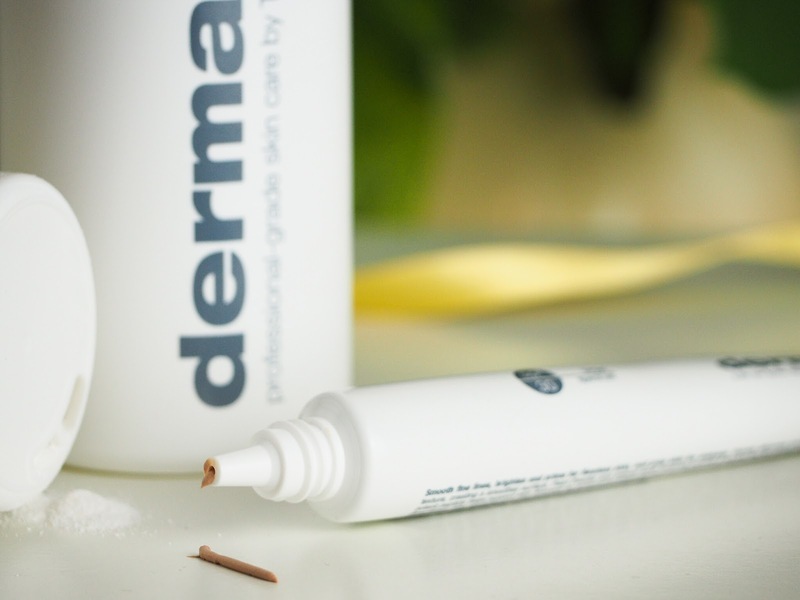 Designed to rid your skin of build up and dead cells - yet gentle enough to be used daily. I must admit I end up covered in powder with each use (Because I'm clumsy), but overall I'm really enjoying using it regardless. "Achieve brighter, smoother skin every day with this iconic exfoliating powder. Rice-based powder activates upon contact with water, releasing Papain, Salicylic Acid and Rice Enzymes to polish skin to perfection. A Skin Brightening Complex of Phytic Acid from Rice Bran, White Tea and Licorice helps balance uneven skin tone while a super-soothing blend of Colloidal Oatmeal and Allantoin calms skin. Gentle enough for daily use." The name alone of the Skin Smoothing Cream suggests good things, but I have mostly been impressed with how hydrating it is. 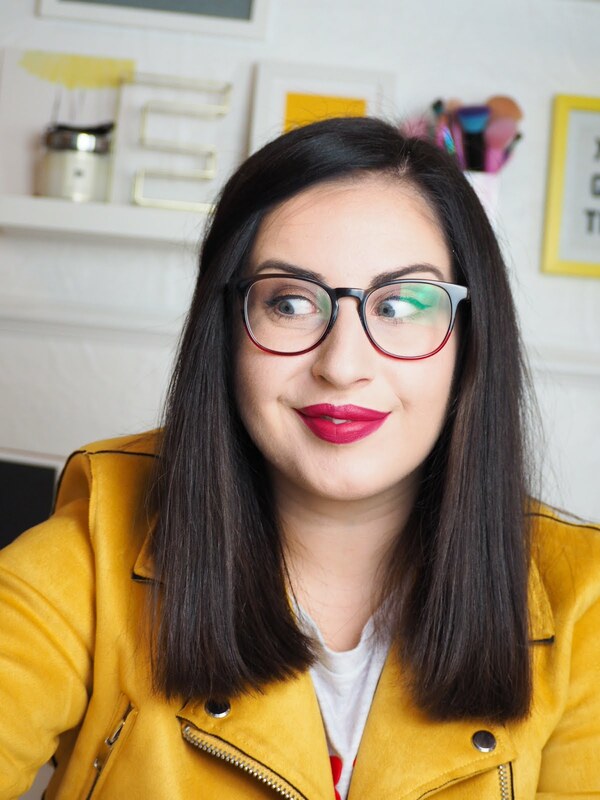 I'm a little overwhelmed by moisturisers at the moment, so I'll be the first to say I haven't used this as much as I have wanted to - but so far so good on first impressions. I'm excited to try this out properly when I get a chance. "Next-generation moisturiser with Active HydraMesh Technology™ infuses skin with 48 hours of continuous hydration and helps protect against environmental stress. This best-selling moisturiser features a state-of-the-art complex that works on a molecular level to help reduce Trans-Epidermal Water Loss (TEWL) and infuse skin with 48 hours of vital moisture. 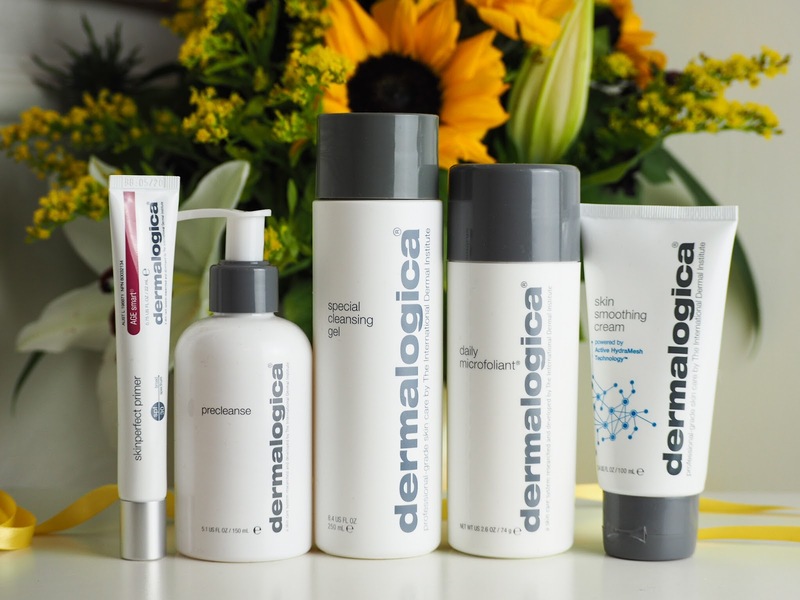 This advanced technology also helps shield skin’s natural microbiome from environmental stress. A dynamic Hyaluronic Acid Complex with Mallow, Cucumber and Arnica distributes hydration throughout the skin, helping to lock in moisture for lasting hydration. Also formulated with naturally-antioxidant Grape Seed Extract, Vitamin C and Vitamin E."
Hello new go to primer. I love finding a primer that works well to protect against UV rays and act as a good base for makeup. The SkinPerfect Primer has been my go to since it arrived and I'm loving using it. It does have a beige tint (see the photo) but it really doesn't show up once applied onto the skin, if anything it just acts to blur any wierd colours going on - which is pretty common on my skin anyway. "Smooth fine lines, brighten and prime for flawless skin, and prep for make-up application. Velvety formula with Soy Protein helps even out skin texture, creating a smoother surface. Pearl Powder and natural earth minerals provide a neutral tint for visible luminosity, radiance and more even skin tone. A potent peptide helps support skin firmness as Broad Spectrum sunscreens help shield against sun damage triggered by UV light. Wear alone over your moisturizer, or after moisturizer application and before foundation, to help decrease the appearance of fine lines for a lasting make-up finish." 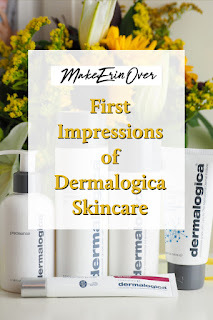 Overall, I am loving Dermalogica Skincare, and I cannot wait to use and try more from them. My friends were completely right - it is incredible, and I definitely should have tried them sooner.